Sarah Ford’s sewing class (private) 1950s. See note below. Photo courtesy of Mrs D Bower. The lady called Mrs Wells is my Aunt Doris Wells (nee Clark) now living in Manby nr Louth Lincolnshire. The lady next to Violet Roper is Ivy Staton, lived on Fanny Avenue, Manor Road. and worked in Alice O’Connel’s shop in Bridge Street. Sarah Ford’s sewing class – was a private class (in the 1950s). Back row – left to right: Sarah Ford, Violet Roper, ? ?, Phyllis Roper, Mrs Speed, Mrs Ward. 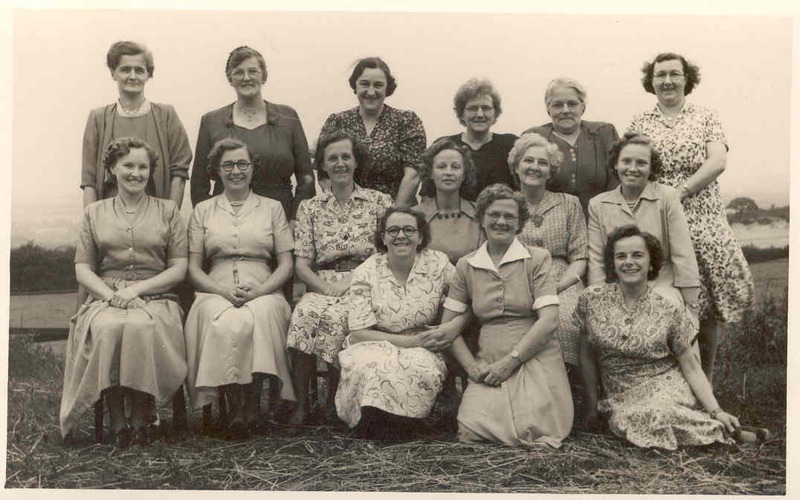 Front Row (seated) – left to right: Eunice Walker, Mrs Ward, Mrs Ward, Joyce Ballinger, Sarah Whitworth, Doris Glossop. Crouched down at front – left to right: Mrs Rutland, Annice Cahill, Mrs Wells.